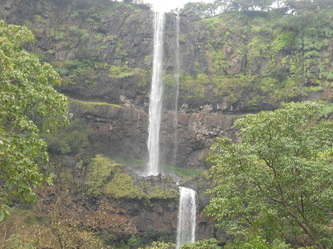 Bhambavali Vajrai Waterfall is situated at the Sahyadri hills near Satara. 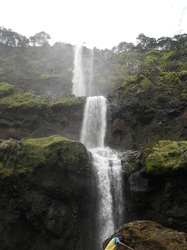 This waterfall is well known for its height and green valley. During all season, it’s have big magnificent water flow. The waterfall picturesque is very nice. Lot’s of people unknown this place. 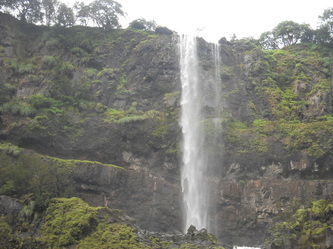 As per Geographical view, Bhambavali Vajrai Waterfall height is around 853 ft. The famous Kas Plateu is near by this Waterfall. Vajrai is known as Bhambavali villagers devotional place.The backwaters of Vajrai Waterfall is known as Urmodi river Project. There are n number of picnic spot near by Bhambavali Vajrai Waterfall like caves, boating places in Tapola. which not only attract tourists from India, but also from other parts of the world. This place is a hub of lovely nature, beauty, wild life and holy places. To experience complete serenity and heaven on earth, one should visit this place at least once in lifetime. Bhambavali village is near by from Satara city approximate distance is around 27k.m.Bhambovali village is fully covered by lots of green tree and big valley. It is very beautiful location for Traveler and tracker. 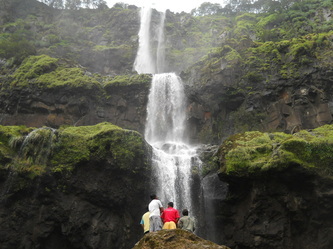 You can see here “Bhambavali Vajrai Waterfall”. You can reach here by using S.T from Satara citi like Yerane,Tethli, Bamnoli. This is very good place for tracker and traveler. भांबवली हे गाव सातारा शहरा पासून 27 कि मी आहे. सातारा शहरातून या गावासाठी तुम्ही बामनोली, येरणे , तेठली S .T . पकडू शकता. कास या गावी उतरून १५ ते २० मिनिटे चालून तुम्ही येथे पोहचू शकता. संपूर्ण हिरव्या वनराईत थाटलेले गाव खुपच सुंदर आहे. गावतील सर्वात प्रमुख आकर्षण म्हणजे येथील 853 फुट उंची चा धबधबा त्याचबरोबर दाट झाडी , पाऊलवाटा, शुद्धहवामान आपल्यास अनुभवास मिळते. तुम्ही जरूर भेट द्या. वजराई हे सातारा जिल्ह्यातल्या भांबवली गावाचे जागृत देवस्थान आहे. वजराई येथे 853 फूट उंचीवरून पडणारा पाण्याचा धबधबा आहे. समर्थ रामदास स्वामी यांनी हा वजराई माथा तीन पावलात गाठला, अशी एक दंतकथा आहे. त्यामुळे येथे धबधब्यावर तीन पायर्‍या झाल्या आहेत. हा संपूर्ण परिसर खूपच सुंदर असून हा भाग कास पठाराच्या जवळ आहे. येथील निसर्गरम्य परिसर हे पावसाळ्यातले मुख्य आकर्षण आहे. Vajrai is known as Bhambavali village famous devotional place. 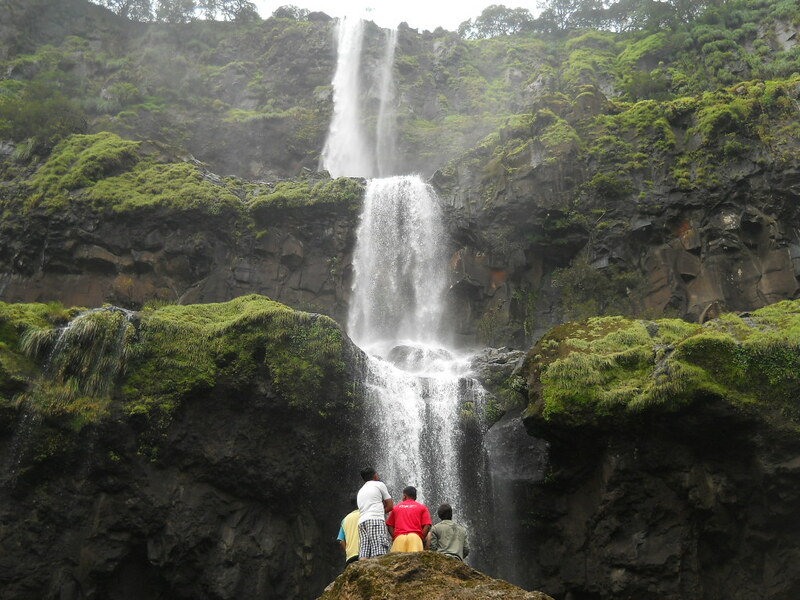 Also this place is known as "Bhambavali Vajrai Water" fall and it’s height around 853 ft. 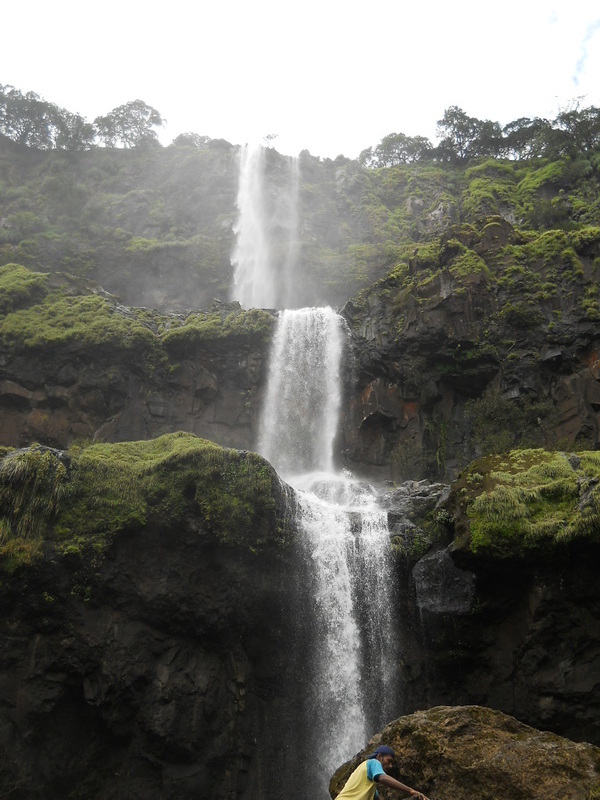 According to people of here, Marathi Saint Samarth Ramdas Swami has climbed this mountain in 3 footsteps because of that straight Vajrai waterfall mountain is converted in to three stair waterfall mountain. 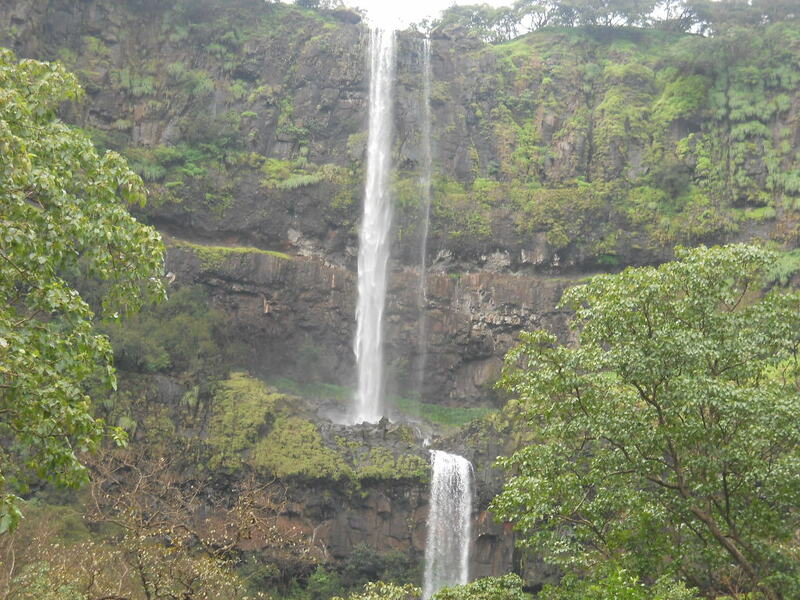 Kas Plateau is near by Vajrai waterfall many traveler is coming here to see this nature beautiful creation.